Attention: When looking our address up on Google Maps or Mapy.cz, both websites point to the building of Institute of Hygiene. Our building is behind it and it is accessible through a gate at the end of the Studničkova street. When using a public transport, take the trams no. 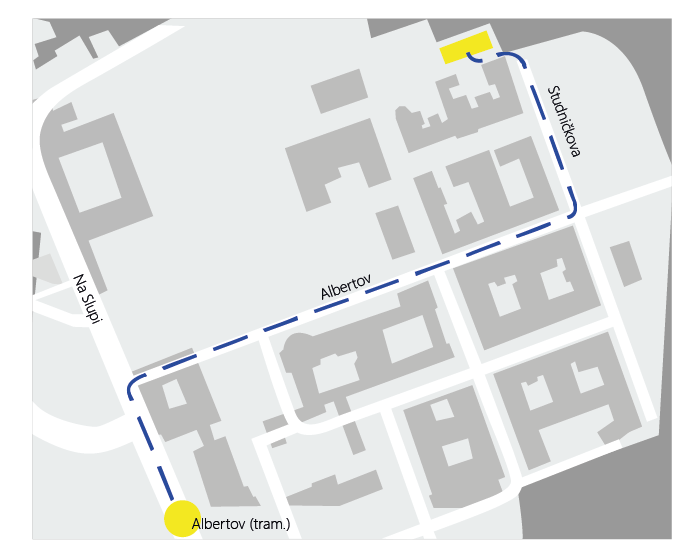 7, 14, 18 or 24 and get off at the “Albertov” tram stop.